How Do People with Autism Connect with Others? Your contributions will support the pioneering research of Drs. 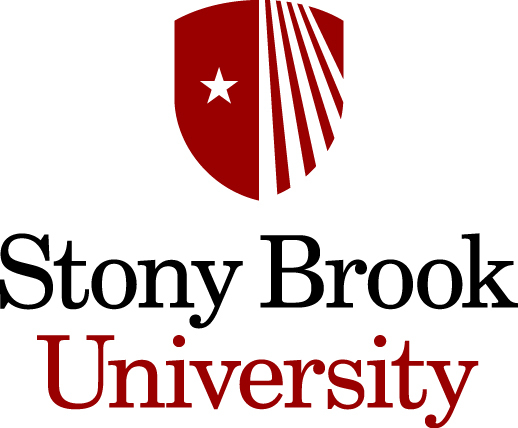 Mark Aronoff and Matthew Lerner at Stony Brook University as they bring together a Consortium of researchers worldwide to identify the patterns underlying autistic communication. Donations will help fund personnel, equipment, imaging, and conferences; a funding at $200K will be invaluable in moving this field forward. Partner with them to seek deeper understanding of how people connect, across populations and conditions. An important result of the years of research on sign language is the legitimation of not just sign languages but deaf people as well. We no longer regard deaf people as defective, but rather as different. Only when researchers began to look at it as a system on its own terms did it emerge that sign language had all the hallmarks of spoken language, except for being communicated visually rather than through sound. Likewise, if we can show that autistic communication is not simply deficient communication but has distinctive properties of its own, this finding might help destigmatize autistic people. Drs. Mark Aronoff and Matthew Lerner, Distinguished Professor of Linguistics and Assistant Professor of Psychology at Stony Brook University, respectively, are using sign language as a research model to provide a unique and vital avenue of discovery regarding the nature of communication among those with and without autism. For those with autism, this provides a rigorous empirical avenue for asking questions that are simply not being addressed in the mainstream research literature. Answering such questions will help facilitate dramatically more effective social-communication interventions, and provide unprecedented insight into the nature of “endogenous communication” across populations. The study of sign language has provided more than just its crucial insight into the nature of language and deafness, but serves as an unprecedented model for the way in which academic researchers and the individuals on whom such research is focused, can work together to answer fundamental questions regarding the human capacity for social connection in entirely new ways. Such a model is profoundly needed in the field of autism research today, and Drs. Aronoff and Lerner are assembling a Consortium of prominent researchers worldwide to foster the conversations needed to achieve it. Although much research is widely being done on autism, individual projects tend to be narrow-focused in their own arena. By building a community of national and international researchers, including researchers who self-identify as autistic themselves, to discuss a broad range of issues underlying autism, the Consortium is able to explore specific hypotheses that have emerged from the conversations of the group to date. With robust collaboration and rigorous research, Drs. Aronoff and Lerner hope to open up the door for possible alternative, and wholly unexplored, avenues of communication that are richly available to autistic individuals. Identifying Unique Properties of Autistic Communication: Drs. Aronoff and Lerner are uncovering the strengths or unique patterns of communication that individuals with autism already employ. Previously, much research has been done on certain premises -- that people with autism are most concerned with self-interest, or that people with autism cannot connect with others. However, Drs. 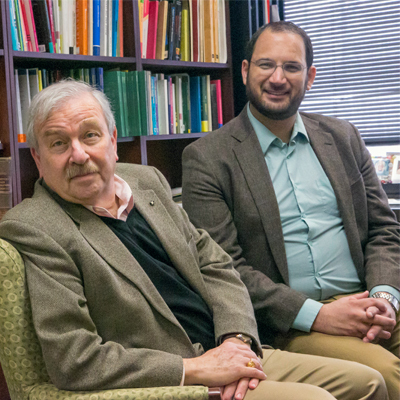 Aronoff and Lerner are pioneering a new perspective in autism research by asking what autistic individuals look for in communication and what is “needed” for them in order to build a connection. By discovering the ways in which these individuals seek and establish connection, Drs. Aronoff and Lerner hope to build therapies to strengthen such kinds of communication. Exploring the “Precision Hypothesis”: One proposition, first introduced by the Consortium, and that Drs. Aronoff and Lerner are exploring, is that individuals with autism value precision in communication over interpretability more than neurotypical people do. This “precision hypothesis” suggests that they conversely place less value on the use of language simply to establish social rapport, and may underlie other presumptions about communication in autism. Collaborating with researchers who are self-identified as autistic, Drs. Aronoff and Lerner are studying the precision hypothesis as one possible difference between neurotypical and autistic people. Understanding the Notion of “Autistic Radar”: Another novel notion that Drs. Aronoff and Lerner are exploring is “autistic radar,” that individuals with autism report being able to identify one another as “autistic” quickly upon meeting, even when expert trained clinicians cannot do so. If this is true, it calls into question the prevailing notion that autistic attempts at communication are necessarily impoverished, and opens up the door for diverse methods of communication available to autistic individuals. Maintaining International Interdisciplinary Network of Researchers: Drs. Aronoff and Lerner’s pioneering research is just beginning. They have conducted their first funded meeting in December, 2014, which was wildly successful in defining key questions for more effective research, and establishing the Consortium by which this research may be accomplished on a wide scale. The next meeting is forthcoming in December, 2015, with the goal of establishing specific research studies. Drs. Aronoff and Lerner then hope to thoroughly assess the initial core hypotheses across disciplines within the next five years, at which time they will evaluate the state of the field in light of their findings. Dr. Mark Aronoff has assumed since childhood that he would have an academic research career. He grew up surrounded by a great variety of languages, which certainly played a role in his decision to pursue Linguistics. The rest is pure chance: his interest in sign languages was sparked by a year-long conversation, and the research project that has occupied much of his time over the last decade had more or less fallen into his lap through the discovery by geneticists of a village with a very high incidence of recessive deafness in which a sign language had arisen without external influence. In the 1930s, there were four children born deaf in one family in this village, and they created the sign language all by themselves. They are now in the 4th generation with an increased number of deaf people, and Dr. Aronoff has worked in this village for about 15 years as one of four researchers from three different countries, to study how the language has evolved. The resulting language is a natural experiment that has been the source of numerous advances in our understanding of the basic workings of language. The project on autism grew out of a conversation that he happened to have with a prominent researcher on autism at the American Academy of Arts and Sciences on the occasion of their inductions. They wondered whether the past half-century of research on sign language might provide a model for a new paradigm for studying autistic communication. That’s when he started to look for someone to start the research program with and serendipitously came into contact with Dr. Lerner, who had just started his position at the university. Dr. Matthew Lerner had begun his career with no intention of becoming a researcher; he pursued Philosophy and Music for his undergraduate degree, and only knew that he was passionate about intersubjective connection. He had carried this passion for years, having worked since early adolescence to help individuals with social and developmental challenges to more effectively connect to the social world. Through this work -- as a clinical assistant, volunteer, mentor, and friend -- Dr. Lerner remained curious about how individuals, such as those with autism, might be attempting to interact on their own terms, but in ways others might not notice. As such, in over 20 years of working with autistic individuals, Dr. Lerner always starts where they are -- trying to understand individual needs, wants, and values first and foremost. Studying Music in college inspired a deeper passion in him for connection, and studying Philosophy helped him appreciate how truly rare and remarkable it is that two people can look at each other and share a connection. He came to realize, then, that fostering this capacity for human connection was truly what he cared about, and he committed himself to help people for whom achieving it is most difficult. For several years prior to graduate school, then, Dr. Lerner founded and ran a community-based program dedicated to new ways of fostering and improving interpersonal connection for individuals with autism, and was at first happy and successful doing so. He managed a large and dedicated staff, families were thankful, and individuals seemed to be doing “better” upon participating in his program. However, a question kept nagging at the back of his mind: was what he was doing really “working?” Like so many programs for this population, he was proud of his work and believed it to be effective; however, like most intervention programs for autism, his program was not equipped to ask the question of effectiveness in a rigorous and thorough way, nor was it equipped to understand the different ways in which autistic individuals might best connect with the social world. Likewise, he was not able to ask the key questions that naturally followed: if his program works, for whom does it work best, and for whom might it not work? What could he do to make his approach more effective, efficient, and precise? Could he do such things while also doing a better job of taking into account the perspective of the individuals he served, whose voices are so often unheard? To answer these questions ringing loudly in his ears, Dr. Lerner left his program for academia to conduct the rigorous, well-designed research that his field so desperately needed, and still needs. These questions still motivate his research today, and are deeply knit into the heart of this project. Dr. Mark Aronoff: "Multilingual Encounters Around the World"